By forcing airlines to cap airfares, the government is also intervening in price discovery. Last week, the civil aviation policy by the Ministry of Civil Aviation, stated that air tickets for tier 2 cities are capped at Rs 2500 per ticket on one-hour long flights and fares for 30-minute flights was capped at Rs 1500. Days after the announcement, today, Ajay Singh, Chairman and Managing Director of SpiceJet, said that the capping airfare is "unfair" as it should not be done by the government. 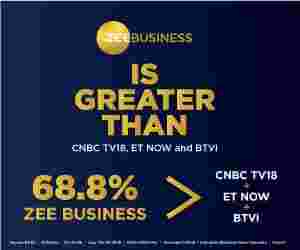 While speaking to Zee Business, Singh said, "The capping should be left for the companies and should not be done by the government. Aviation sector will not be benefitted from this. Airlines should be given free hand". Further, Singh said that government should try reducing the fuel prices and make it tax free. He also wanted the government to look at cutting the landing and parking of flight charges. By forcing airlines to cap airfares, the government is also intervening in price discovery. Since airlines will now have to cap their prices, they have no incentive to offer tickets at cheaper rates.